Viera Iron Works began holding practices at the Viera rec. center in April of 2008. After six months they added a second class and took on the name Iron Works. Coach Arthur teaches competitive style fencing and uses the principles of Jeet Kune Do as well as his 25 years of experience to teach his students. 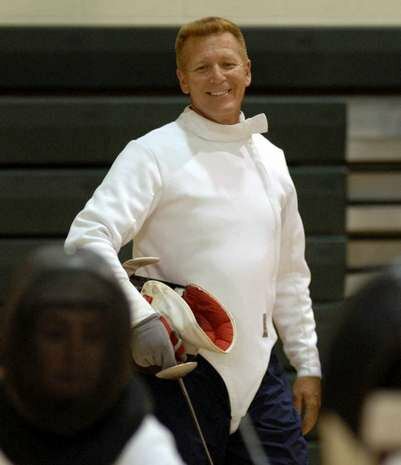 He takes fencers from beginner to competitive levels and encourages his students to compete . 4 time Virginia State Foil Points champion. 10 time member of the Virginia Champion Foil Team. Gold Medalist Commonwealth Games, Gold Medalist Sunshine State Games, Silver Medalist 2000 Virginia championship, Bronze Medalist 2010 Central Florida Championship. Coach Arthur has coached 4 years for Olde Town Fencing Gang (Alexndria,Va. ), 3 years for the Manassas Rec. Center, 1 year Advanced Coach for George Mason Univ. Freedom Center (Manassas, Va.), 8 years for Iron Works of Viera. 1 year for Viera High School.